Lots of people get nervous just thinking about a trip to the dentist. Studies indicate that patients who are afraid of dental visits are generally nervous about a few specific things — fear of loss of control, fear of embarrassment, fear of pain, and the fear of cost. When you can’t see what the dentist is doing to you, can’t help them do it, and can’t anticipate what’s next, a feeling of loss of control can take hold. That sense of helplessness can cause significant apprehension and worry before, and during, the visit. Some patients have a considerable sense of embarrassment because the dentist is working just inches away from their face and directly in their personal space. Sometimes that embarrassment comes from a lack self-confidence or shame about how their teeth look also resulting in anxiety about going to the dentist. One of the most common problems is a fear of pain. A study at the University of Toronto, Canada, noted that sensation of pain was more likely to be reported by people who had painful dental experiences or who felt anxious about treatment, expected it to be painful, or felt they had little control over the treatment process. The same report also stated that pain is as much a cognitive and emotional experience as a physiological experience. In other words, the anticipation of pain, whether realized or not, is a powerful influence. Of course, there’s also anxiety about cost — dental work can be expensive. Nevertheless, regular appointments help reduce the need for more costly treatments down the road. Often, when cost is an issue, talking with the office manager about payment options can help. Many dental offices will work with patients to come up with a financial arrangement. The more you put off visiting the dentist – or skipping dental treatment altogether, the greater your risk of developing problems that will make future dental visits more difficult. In fact, regular dental visits can make the process much easier a number of levels. Voicing your feelings ahead of time can make a world of difference. If you’re tense or anxious giving the dentist and the dental team a heads up can prepare them to help ease your discomfort, if they know the situation from the start. 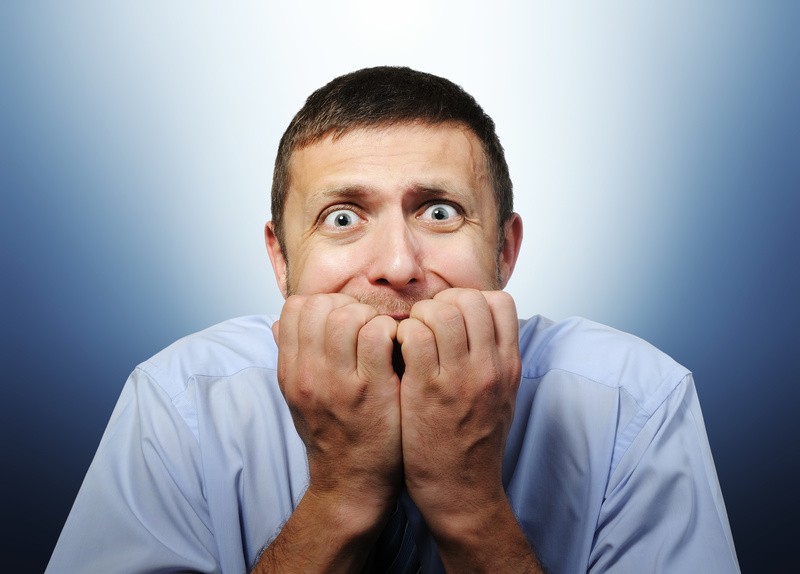 As soon as you book your appointment, let the scheduler know you’re nervous about dental treatments. In addition, remind the dentist and dental staff about your anxiety when you arrive, and be sure to share any bad experiences you have had in the past. Don’t be afraid to ask questions. If you experience pain during treatment, even with a local anesthetic, speak up. Some patients feel embarrassed about their pain tolerance or don’t want to interrupt a dentist during a procedure. Talk with your dentist about pain before it starts so your dentist knows how to communicate with you and make it more comfortable. It may seem impossible, but there are a few things that that can help distract you during the visit. For instance wearing headphones to drown out the sound of the drill. Occupying your hands by squeezing a stress ball or playing with a small handheld object. Many dental office these days have TV’s to help patients keep their mind off what’s going on during the visit. Relaxation starts in the mind and simple things like deep breathing exercises can help relax tension. Inhale slowly and then exhale for the same length of time. Doing this while you’re waiting for your appointment or during breaks while you’re sitting in the dental chair, can help your anxiety stay in check. Partnering with independent, hometown dentists, American Dental Group, (ADG), has the resources to help members receive the highest quality care up and down the Front Range, as well as discounts up to 58 percent. Because ADG has been serving Colorado for 25 years, we have taken time to get to know all of our provider dentists and feel confident recommending them to our members for the best dental care in Colorado. In addition to savings on dental care, ADG members also enjoy discounts on vision materials and prescription drugs. Call now for more information about how you and your family can save money with American Dental Group. American Dental Group provides our members access to professional, affordable Dental, Vision, and Prescription resources. We have negotiated predetermined rates with preferred providers up and down the Front Range, to deliver cost effective and affordable alternatives to the benefits that exist on the market today.